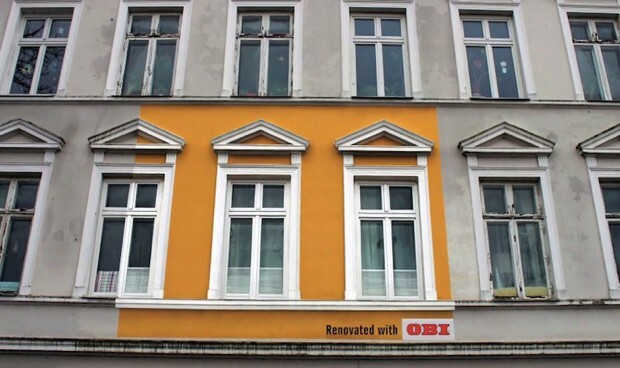 Today we are going to introduce you one of the most well-known DIY chain in Germany, OBI. Their creative agency, being very creative, thought “¿Why do people advertise products that are suposed to make our homes look nicer using adverts that make everything look uglier?” they were tired of seeing the street full of big billboards all over the city, which sometimes cover what is behind them or simply make the streets look less colorful and uglier. 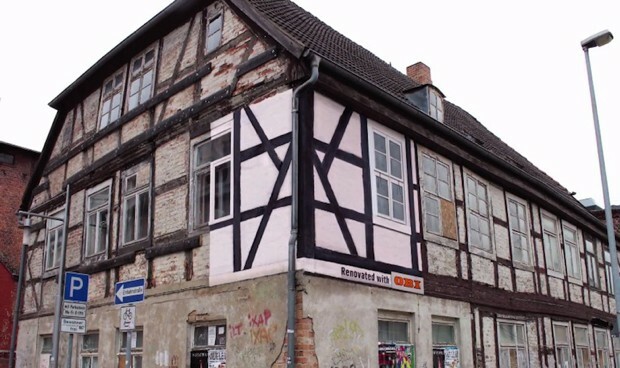 The agency Jung von Matt an der Elbe started to work on it, so they decided to stop using billboards or pamphlets, all of them very common. 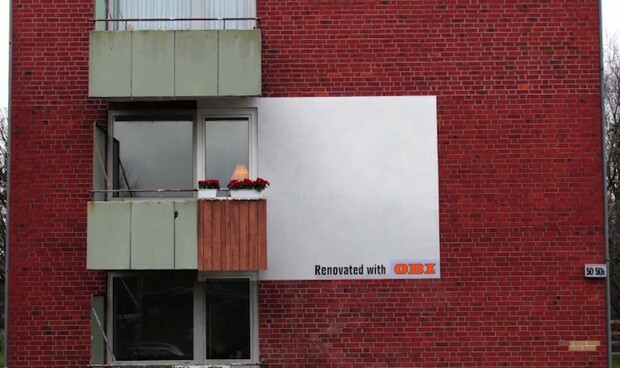 The idea was there, and to put it into practice, they renovate some parts of some house facades that were abandoned, by doing this they got some outside adverts all over the city and attract the attention of everyone who sees it. Don´t you think its a new way to fight against the common advertising? I think it´s cool.